I hope you like Etta & Otto & Russell & James as much as I did. 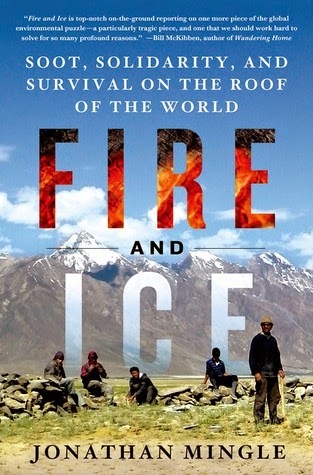 I am reading The Last Bookaneer by Matthew Pearl, an Antarctic Adventure by Juleas Verne, and Indiana by George Sand. I really did. It was one of those sweetly nostalgic books that I enjoy :D I hope you're enjoying your current reads, Nancy! 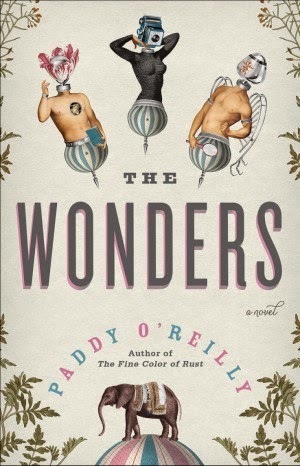 Ok, the cover of The Wonders is totally my jam. Right?? That's one of the reasons I accepted that book, lol. It's just so cool looking! The cover of The Evening Chorus is gorgeous. I hope the story was just as good! Ooh is that a new Paddy O'Reilly? I loved The Fine Colour of Rust. Must investigate! I hope you enjoyed it. In fact it is! I believe it was my first, but I'm betting that it won't be my last! How was Wonders? It looks good. I have a post about it tomorrow. Not a review, just a post. ENJOY your reading week...looks like you had a good one and a good upcoming one. Etta and Otto looks good. If you live in the USA, there are reviews going on at my blog. Details in my It's Monday post. I really liked Wonders. It was a quirky read which I almost always enjoy :D Have a great week, Elizabeth! I am very curious if your good feelings about Etta held true until the end or not. 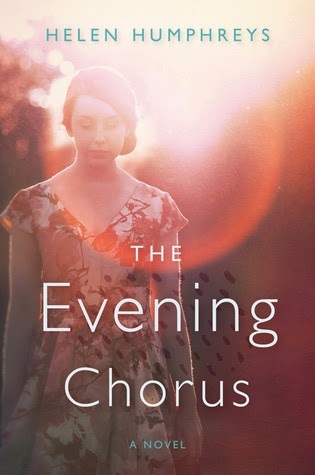 I am totally in love with the cover of The Evening Chorus. It makes me not want to work but just relax. LOL, we tweeted about this a bit yesterday. The end. Hmm. Weird. 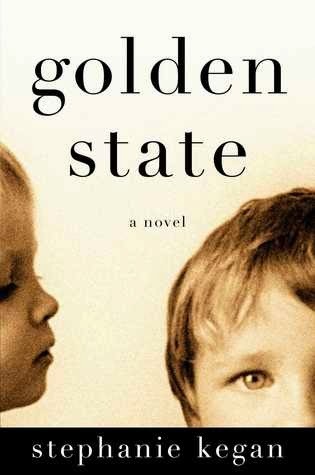 I have seen Golden State around but haven't read a review yet. Evening Chorus looks beautiful and possibly heartbreaking. Beautiful covers! "The Evening Chorus" sounds great, and the reviews on Goodreads look gooood. Looking forward to hearing what you think of it. Beautiful books. They sound like great reads! I'm reading Yhe Pale Blue Dot by Carl Sagan, Stiff by Mary Roach and the Invention of Wings by Sue Monk Kidd. Oooh, Stiff! Loved that book :D It was my first Roach and I'm dying (pun not intended, lol) to get to the rest of her work. 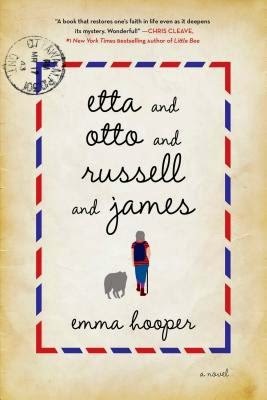 I love the cover of Etta & Otto & Russell & James! Oh wow - you have several great looking reads here!